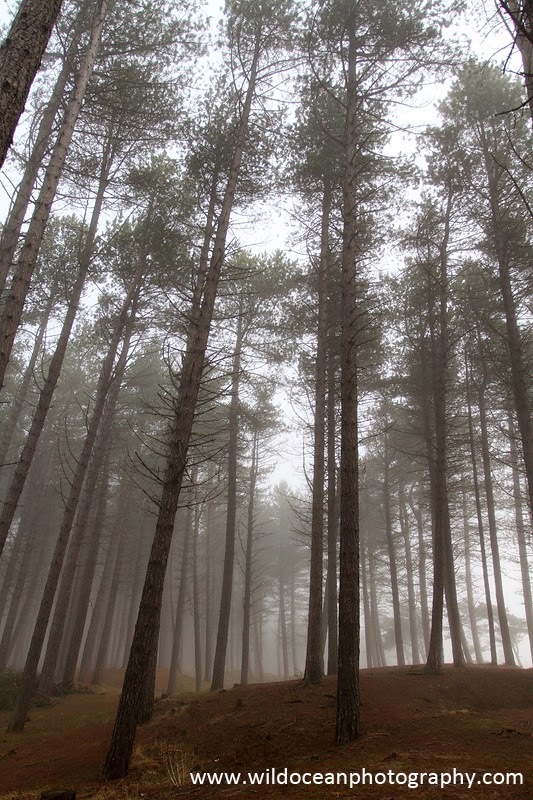 The forest edge shrouded in fog was cool and slightly eerie! By the time I got to the Firth of Tay, it was clear that the North Sea was producing one of its characteristic haars. But, it was fairly light cloud and so I figured it would burn off soon enough as the sun got stronger through the afternoon. 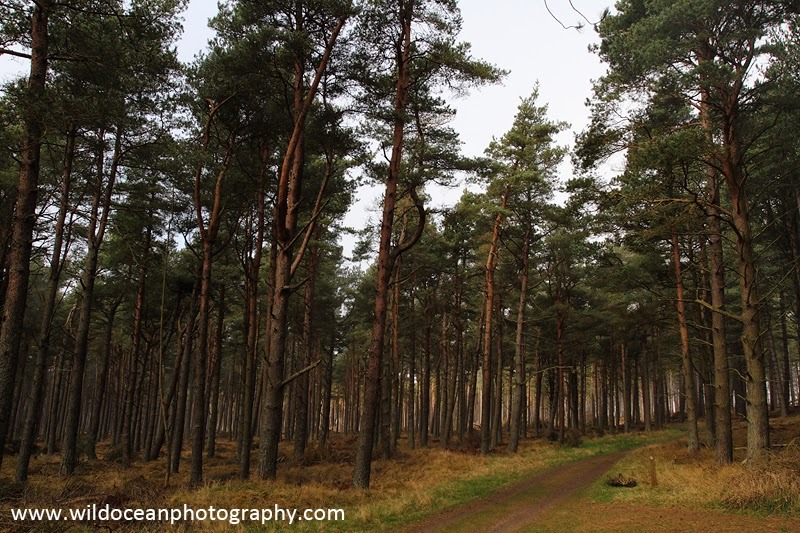 The NNR isn't very well signposted from the road so it did take a while to find the place, but I eventually arrived at Tentsmuir Forest (there's a £2 car park fee if you're planning on visiting). British beach holidays are traditionally a slightly grim affair. 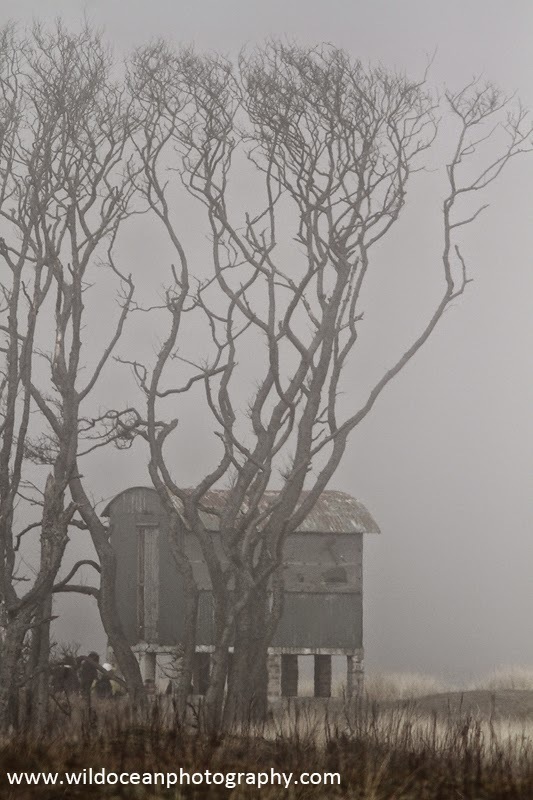 The fog was far thicker by the coast, and gave the forest edge a cool, "Game of Thrones" type atmosphere. I still thought it would probably dissipate pretty quickly though, so I set off, following another intrepid British family who were obviously not going to let some inconvenient weather ruin their bank holiday at the beach. 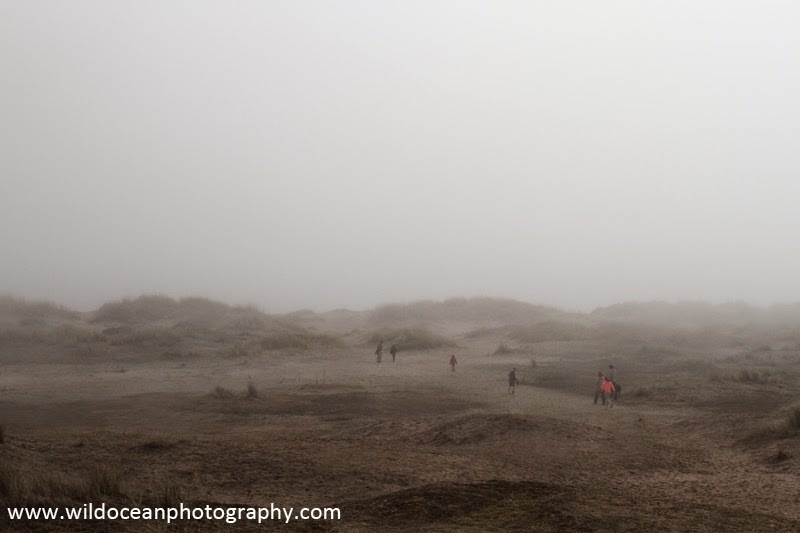 I headed north into the haar and walked up the sandy coast for about 3 miles. Still foggy! It was pretty cool though. The fog didn't burn off. 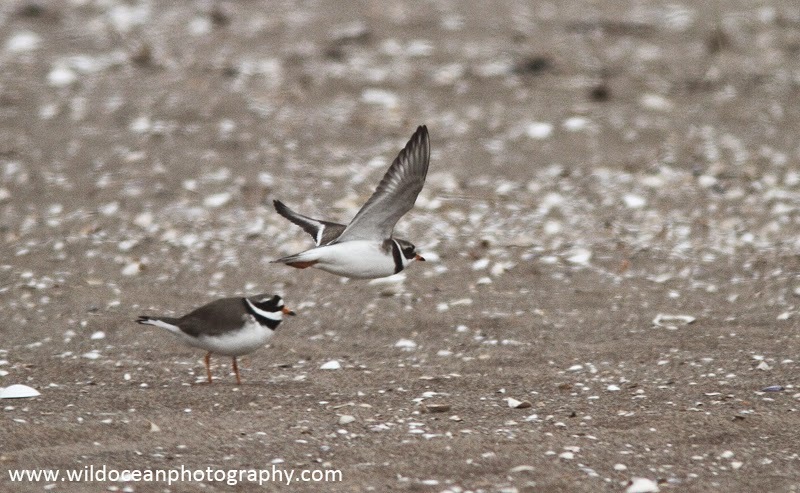 Ringed plovers scooted by a couple of times while they were foraging at the top of the shore. 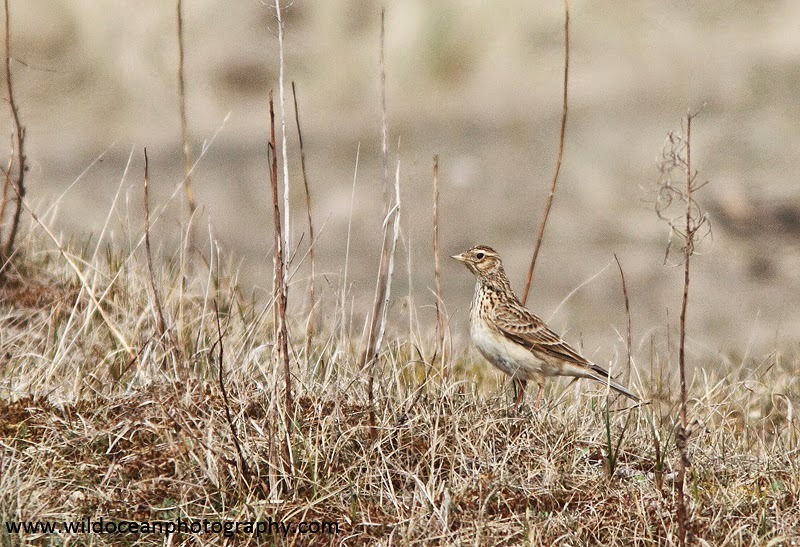 I THINK that this might be a skylark. Can anyone confirm the ID for me? As you might expect, I didn't see too much in the way of wildlife! A couple of ringed plovers dashed by as they foraged along the strandline, and there were small birds darting around the dunes that I think might have been skylarks. If anyone can confirm the ID from the photo above, it would be much appreciated! The weather was lovely 200 m from the shore! After I gave up on the coast, I walked the 2 miles back to my car through the forest. It turned out that the fog only extended about 200 m inshore though before giving way to beautiful sunshine... I tried not to take it personally! Still, although there were tons of songbirds in the trees the forest itself was a little too full of holidaymakers to really offer many photographic opportunities. Despite the unlucky weather, the reserve was a lovely place to spend a day and isn't that far from Glasgow for a trip out. The information spots promised that the beaches are good seal haul-outs (for grey and harbour seals) and are good places to see flocks of wading birds and eider ducks. Maybe next time!